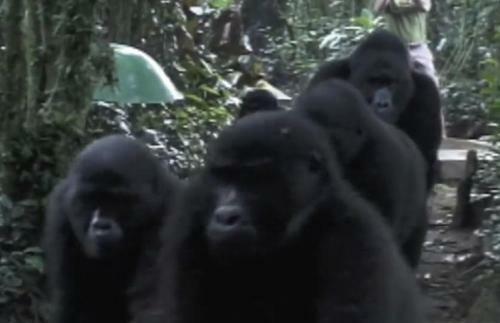 In one recent film, a stunning interaction with mountain gorillas was caught on camera. The footage was caught by the team at Caught in the Act. These nature lovers try to capture some of the most remarkable moments with wildlife. In the videos, the team uses experts to describe what is happening and to educate the public. 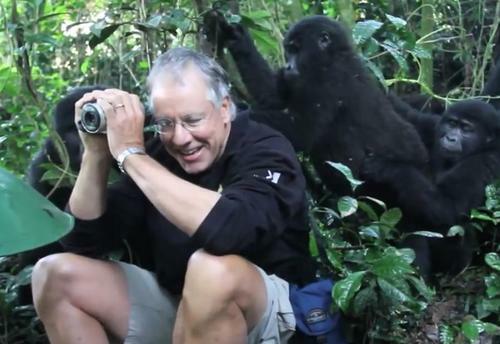 One experience with wild gorillas is going viral online. John King and Jonathan Rossouw are nature lovers. When they went to Uganda, an encounter with gorillas left the pair with a bit too much nature to really love. The two friends were originally trying to track mountain gorillas in the Bwindi Impenetrable National Park. This mountainous park is filled with steep terrain and dense undergrowth that are nearly impossible to penetrate. Because of the terrain, tracking gorillas can be extremely difficult. John and Jonathan were in the forest for two days before they finally saw wild gorillas. It felt like they had walked forever through the beautiful forest. The friends were thrilled to see the gorillas, but then they noticed something unusual. Apparently, the gorillas were searching for them as well. When Jonathan opened the door to his cabin one morning, a gorilla was directly in his path. He immediately told everyone in the group what was happening. After hearing Jonathan’s news, John grabbed his camera as quickly as possible. He sat down in the middle of the path that they were about to take. Luckily, the gorillas did not harm him. While gorillas are herbivores and rarely attack people, they will attack a person if their babies are threatened. The male gorillas can weigh up to 180 kilograms, so these attacks can be deadly. In the film, you can see one young gorilla become curious about John. It came closer, but John tried to move away. He did not want the gorilla’s mom to attack him. 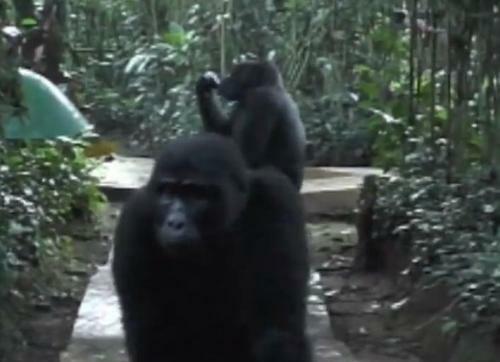 When the mother gorilla turned around, he caught the encounter on camera. She can be seen trying to pull her baby away, but the baby wants to stay and check the people out more. You can see the entire encounter in the video.